Bitter memories of conquest and subjugation are most commonly expunged, post independence, by appropriating the edifices and symbols of a conquering power and imbuing them with national identity. Successive governments then milk political mileage by eradicating vestiges of colonial association from cities, streets. and maps. Even in stubbornly resistant cities like Calcutta. But how does a post-colonial country deal with monuments to the mortal remains of its colonial rulers? Those painful spaces of remembrance whose commemorative inscriptions are veritable proclamations of glory and martyrdom? Of sacrifice and service to God & King? By abandoning and ignoring them. Until they disintegrate into the mists of time. Until any surviving epitaphs have little import on a generation far removed from the turmoil of conquest. 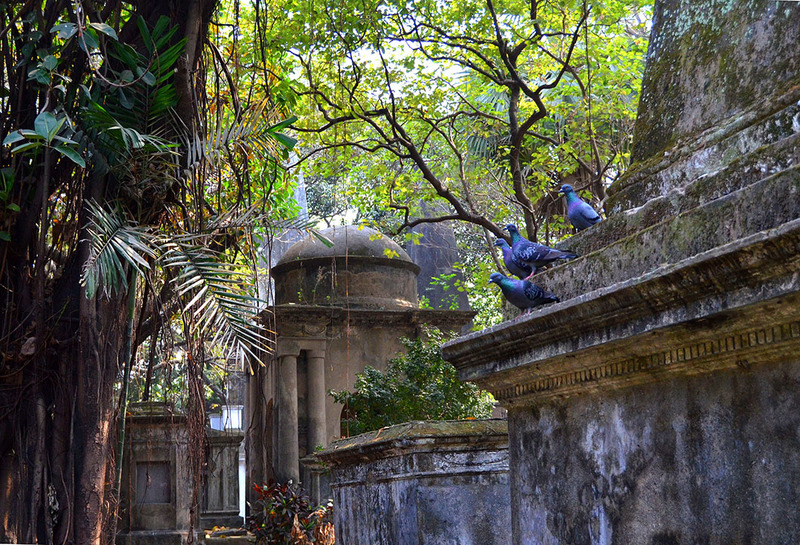 South Park Street Cemetery, located in the heart of the city, just off a bustling thoroughfare that was once called the ‘Burial Ground Road’, is one such relic of Calcutta’s turbulent colonial history. It is said to be one of the earliest non-church cemeteries in the world, and the largest Christian cemetery outside Europe and the Americas. And one that managed to survive. A desolate space, despite its monumental tombs. Steeped in sadness and forlorn glory. Melancholy……yet deeply tranquil. Whose 1600, (mostly) poignantly young inhabitants, underscore the waste of it all. Love the combination of green jungle and graveyard! I read somewhere that there are plans to identify and label all the trees in the cemetery. High time! Thank you for your visit and comment. What a good thing that this cemetery is being maintained once again. History should never just be discarded. These people were just doing their duty, as they saw fit, and their last resting place deserves some respect. Interesting photos, Madhu. I agree Sylvia. Quite a few did not even reach these shores alive! I am not sure why the British Association didn’t step in earlier. The cemeteries we saw in Thailand were maintained by the Commonwealth War Cemeteries Association. Always love the knowledge you share so wonderfully! Blessings! It always saddens me to see this as these monuments are an integral part of the country’s history. One always hopes that the people realise this before it is all gone. Luckily these ones were not just razed to the ground. It is heartening that awareness is spreading, however late Colline. I am glad that these were not destroyed too. Glad I could convey some of the atmosphere Sue. It was surprisingly quiet and tranquil, considering it lies in the heart of one of the most chaotic and noisy cities! Poignant images well photographed. Your point of all this having no meaning to an indifferent generation is sobering. The ambivalence of a generation untouched by colonial rule is understandable. But the lack of interest in conserving historical legacy is disheartening. I think it is changing though. Thanks Angeline. Interesting as usual, Madhu. The history of a country must not be forgotten, people have the right to know – and they want to know, sooner or later. All graves and stones over the dead deserve respect. Absolutely. And it speaks well of that generation that none were deliberately destroyed. I wish more funds would be allocated for conservation though. Thanks for your visit & comment Ann Christine. Thanks for including the Christian Burial Board link. The question of excess masonry was mentioned which I found interesting as well as the different styles of tombs. The death toll of these young people not counting all the women and children would be enough to not come…but they did. South Park Cemetery would be reclaimed by nature by now if action wasn’t taken. Am glad you shared this bit of history, Madhu. Fascinating isn’t it Lynne? Reading those epitaphs, I too wondered about the compulsions that made them come even when early death was a near certainty! So sad, Madhu! And such a waste. Lessons learned? I don’t think so! Neither do I. All the more reason to preserve and protect these monuments. Forgetting is not an option. Thanks Jo. You cannot change history and it is good to maintain remnants of the past. The South Park Street cemetery reminds me of the Necropolis in Glasgow with all the ornate tombs. It’s good to maintain them and keep them as a reminder, however painful, of the past. There is also a Scottish cemetery in Kolkata at 3 Karaya Road, Kolkata which served the Scottish Presbyterian community and is maintained by St Andrew’s Church so should be in a reasonable condition. I had neighbours who came from what was known then as Calcutta and who moved back there when their son married a woman from India. They were very nice – Mr and Mrs Basu. Fascinating Madhu, I don’t like what europeans did back then but the dead should still be respected. History too Gilly. I hate how we tear down heritage properties, or let them run to seed, without a thought. Ummm – colonialism … but they sure did leave wonderfully baroque cemeteries, romantic in fact. That first shot, for instance – just gorgeous. It’s interesting though – those “proclamations of glory and martyrdom? Of sacrifice and service to God & King” were, in my opinion, the ‘victors’ writing their official side of the story into perpetuity. But then, for those who revere humans so much I don’t suppose it would have looked so good to talk of adventurers and fortune seekers! No it wouldn’t have looked good at all 🙂 And there is no doubt those glorified epitaphs were conceived by ‘The Company’ and not by grieving family members. But the post colonial neglect is equally political. That’s the thing……most conflict and destruction in the world is about politics and posturing. Of course, you;re right Madhu – look at us now. Makes for a peaceful sanctuary now though, which is a delicious irony. 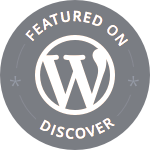 Really interesting Madhu It’s somewhere I didn’t know about but would really like to see. India is so vast and I’ve seen only a tiny fraction of the country. The things we do in the name of culture and religion!! Thankfully none were deliberately destroyed here (no cemeteries that I know of at least). Although we have lost scores of temples across centuries and a mosque in the recent past. In all the hustle bustle of Kolkota these pictures actually seem peaceful! This really is an amazingly tranquil place Dilip. An absolute must do if you ask me, particularly if you are interested in colonial history. I hate to see any history discarded, or demolished. It is like people to me…you are the sum of all you have been through, the good and the bad, and so are places. We need to accept each and every part of the whole…so it is good that there was restoration at some point. I agree. The thing is here, conservation gets relegated to the bottom of the rung when it comes to allocation of funds. For some reason tourism isn’t very high on the agenda either…I am guessing there is relatively less money to be made. Lately that seems to be the case here as well Madhu…a sign of changing times that does not make me happy. Beautiful photos. The setting is tranquil and sad, haunting memories of those who once walked among us. Your point about preserving our monuments is well taken. My husband and I saw the movie, “Monument Men,” which was about Hitler’s attempts to steal major artworks from museums and private collections to put into a museum of his own. But he directed that the artwork be destroyed if he were killed. Thankfully, these men saved many priceless works of art – the Mona Lisa, for one. Had they not been successful, the culture and identity of many people would be lost forever. Thank God for people like them! I haven’t seen that movie Judy. Thanks for telling me. I like wandering through cemeteries anyway and this place looks fascinating. I’d love to visit it. I do too David. This one is particularly atmospheric, probably because it is so much older than any I have visited at least. You are also an amazing writer ! So impressed Madhu ! Seems as though you are ! Seems like the ‘Khaps’ still rule with an iron fist in some northern states 🙂 I am surprised I haven’t heard of similar cemeteries in Chennai or Bangalore! According to the British Association – BACSA – over 2 million Europeans are buried in the subcontinent! Nicely done Madhu. I enjoyed my morning there. It must be the quietest place in all of Calcutta. Surprisingly tranquil wasn’t it? An oasis in the midst of the chaos and din of the city. Thank you. Sorry we won’t make it to Chennai this trip. But aren’t you about due for a trip to the states? Beautiful photos, fascinating history. I have always loved old burial grounds, cemeteries no matter their origin. I don’t know what draws me. Thank you Valentine. Cemeteries fascinate me too. I was disappointed to have missed the Pere Lachaise in Paris on our last visit. I agree. And it is heartening to see awareness creeping in. Thank you. And glad you enjoyed them Laurie. As always, your pictures are stunning. I love the blue birds in the first one. Made me think they see this cemetery as a bird sanctuary. Thanks Imelda. Glad i could convey some of the atmosphere. Sad, chilly, but beautiful to look at and are nice for photograph. Your words give this post a better sense. Thank you for your lovely comment Rommel. What a beautiful place .. in its wildness – too many young men died fare too early, just like they still do in our wars. Nothing has changed, nothing is learned – that is the saddest part of it all. Here I would find peace, stunningly beautiful post, Madhu. Have I told you that I love your new look??? Yes, I really like the new clean and fresh layout. Excellent choice. Lovely post. I visited this cemetery in my university days, when I was re-reading one of Satyajit Ray’s detectuve stories named “Gorosthaney Shabdhan” (Beware of the Graveyard). The cemetery was beautifully described, and I wanted to find out if the names of the graves in the book actually existed. It does, I found out – but more importantly, I felt an overwhelming sense of beauty and futility amidst those piles of graves. I wouldn’t agree with the post-colonial neglect of colonial relics theory behind the cemetery though – because the other major Raj-era relics like the Cathedral, the Victoria Memorial, the Jora Girja, etc. are well maintained. The cemetery IS rundown – no doubt about that – but it’s as rundown as many other heritage sites and buildings – like the Marble Palace for example. There may be various reasons – and one of them being the state’s reluctance to get mired into anything that resembles religion-based favours – but that’s a bad excuse considering Bengal’s political narrative. Anyway, the reason for my rather long comment is the excitement generated at seeing these lovely snaps of a place for which I have a special place in my heart. I didn’t take photos back then, and wish I had. Many of my contemporaries from Calcutta would agree – coz this cemetery also happens to be a favourite coochie-cooing site amongst young couples from the nearby colleges. I wish more funds were allocated to maintain this place. Happy to meet you Sampurna! And thank you for contributing to this thread. My feelings are that the Raj era relics that could be appropriated for use are certainly in better condition, even if they could be better still. This was of no use to anyone, or it would have been appropriated as well. The marble palace is a private property and has nothing to do with the Raj or the state. I found the interiors a bit over the top, but very impressive by the way. But my great-grandfather’s tomb is in Ujain. (He worked for Rao Scindia, the Maharajah of Gwalior…) Maybe “mixed feelings” could be retitled “shared history”? My parents claim that I spoke Urdu before French or English. 🙂 Can’t remember much except for one word, which I believe is the same in Hindi: Shukriya for this very nice post! What an interesting post. I’ve never thought of the cemeteries left behind when an occupying power leaves…. It does indeed! Thank you for reading Patricia.